* The information contained in this article is general in nature and is not intended as tax advice. The deadline for filing taxes is right around the corner. If you haven't yet filed your taxes and aren't sure you'll be able to by the April 15th deadline (April 17th, in 2018), you will likely need to file for a tax extension. A tax extension allows you to seek up to another six months to file your taxes without having to worry about paying the penalty for filing your taxes late. However, you are still responsible for paying your tax burden, should you owe anything, by April 15th, regardless if you filed an extension. Otherwise, you will face fines and penalties on the amount you owe. How Do You Request a Tax Extension? You must ask for your tax extension on or before April 15th. To do so, you will need to fill out Form 4868, Application for Automatic Extension of Time to File U.S. Individual Income Tax Return. Your accountant can also electronically file for you. The IRS does not require that you explain why you need to file an extension. Generally, the IRS will automatically approve your request for an extension and give you an additional six months to file. They will only contact you if your request has been denied. Does Requesting an Extension Make an Audit More Likely? Every year, millions of Americans request a tax extension. This does not make you more likely to be audited. Rather, filing an extension is much better than the alternative--filing your taxes late without asking for an extension and being penalized. The IRS knows that there are valid reasons why an extension might be required; that's why filing an extension is standard procedure and automatically approved. 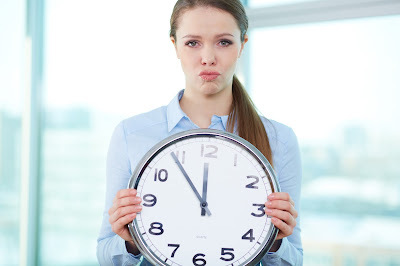 Even if you have to file late, as long as you fill out the extension request and pay any monies you may owe, you will not face any repercussions.